Our love lives and our work are inextricably tied together. When we have a loving and supportive partner, we are empowered to take the kinds of calculated risks that often lead to extraordinary careers. 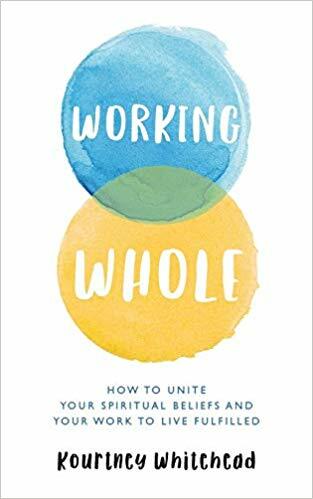 Kourtney Whitehead, author of WORKING WHOLE: HOW TO UNITE YOUR SPIRITUAL BELIEFS AND YOUR WORK TO LIVE FULFILLED, shares three tips on how to use your belief in love to build a union where each of your careers will thrive. For the past 20 years, I’ve helped people make significant career moves toward work that brings them greater joy, purpose, and meaning. Rarely can a person achieve a truly fulfilling work life without the generous support of their life partner. Love is frequently described as the romantic feeling that brings two people together, but a spiritual belief in love empowers you to honor your abilities and harness opportunities while also helping someone else realize their life’s potential. Here are three tips that can have a profound impact on your partner’s career, as well as yours, if you mutually agree to incorporate these ideas into your relationship goals. Like most things in life, moving toward what we want is not a straight line from desire to goal. When we first started dating, we didn’t yet know everything we wanted or needed in a potential partner, nor did we fully appreciate what a lifelong union might require of us. We simply had a desire for companionship, but no idea what the path forward would entail. If your dating history is anything like mine, you’ve had to change direction at times. Our careers have the same zigzag pattern as our love life. We start out with a vague desire for success, and over time, we take one step after another toward clarity and getting what we want. These moves are messy and can appear to be erratic to an observer. When we honor our partner’s sacred life, we support their zigzags, wherever they lead, and even encourage greater experimentation. The freedom and grace to make career pivots—even several—will ultimately lead them to their best and most meaningful work. #2: If you feel it, say it. “Honoring your lives” is all fine and good, until one of you takes a new job and travels too much or wants to pursue a lower paying gig to move in a different career direction. Bringing our spiritual beliefs into our work lives will have real-world implications that need to be addressed and discussed. If you are both benefiting from an atmosphere of love—pursuing that which brings you joy and makes a positive impact in the world—then you will have less resentment toward these changes to begin with. But still, talk about how you are feeling, even if you are conflicted. It’s ok to say that you want to support your partner but are also afraid of where it might lead you as a couple or family. Compromises can and will be made, but they all start with lovingly sharing the truth. #3: One team, but two lives. The sacred life of your partner is simply that, their sacred, and separate, life. When you respect their life’s path, you give them the space to work out their goals and dreams as independently of you as possible. This is tricky when our financial lives and household responsibilities are intertwined. We can’t help but have good ideas, suggestions, and dreams for what their work lives could be. But resist living in their life, at the expense of living your own. When we integrate a belief in love into our lives, it lets us see that our partner doesn’t need our help as much as we think they do. They are competent and have their own unique path to follow. 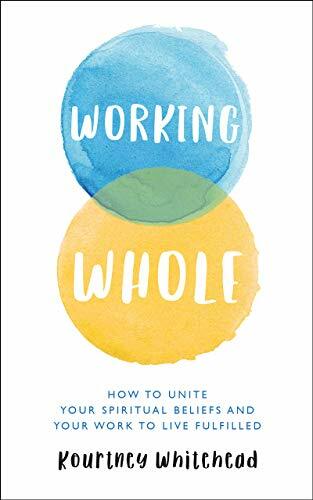 Our job is to make sure we are paying adequate attention to our own spiritual life and career, moving toward the fulfillment of working whole. 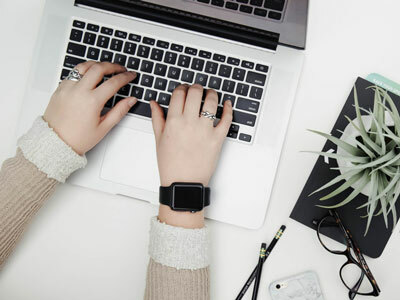 Find out more tips on how to succeed in business and life in WORKING WHOLE by Kourtney Whitehead! Check out Kourtney Whitehead’s website at simplyservice.org!